This 550W Sunshine Solar Power Narrowboat Kit offers outstanding performance and great value for money. 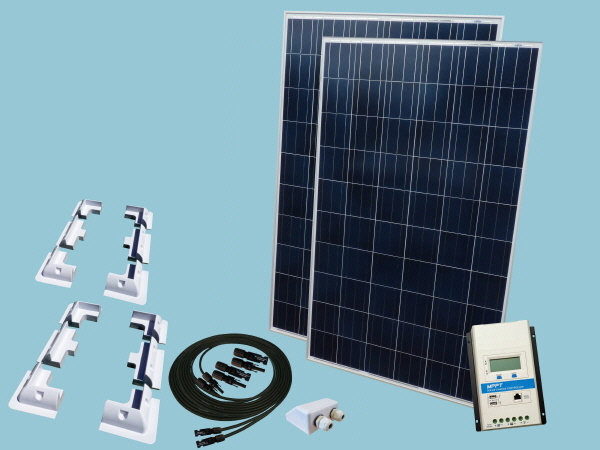 With this 550 Watt solar power kit you could expect to generate around 183 amps per day (12V Battery System) or 92 amps per day (24V Battery System) during the summer months supplementing the leisure battery power onboard. Important note: Each solar panel needs a flat area of 1111mm x 1770mm these dimensions include the corner and side mounts supplied with the kit.